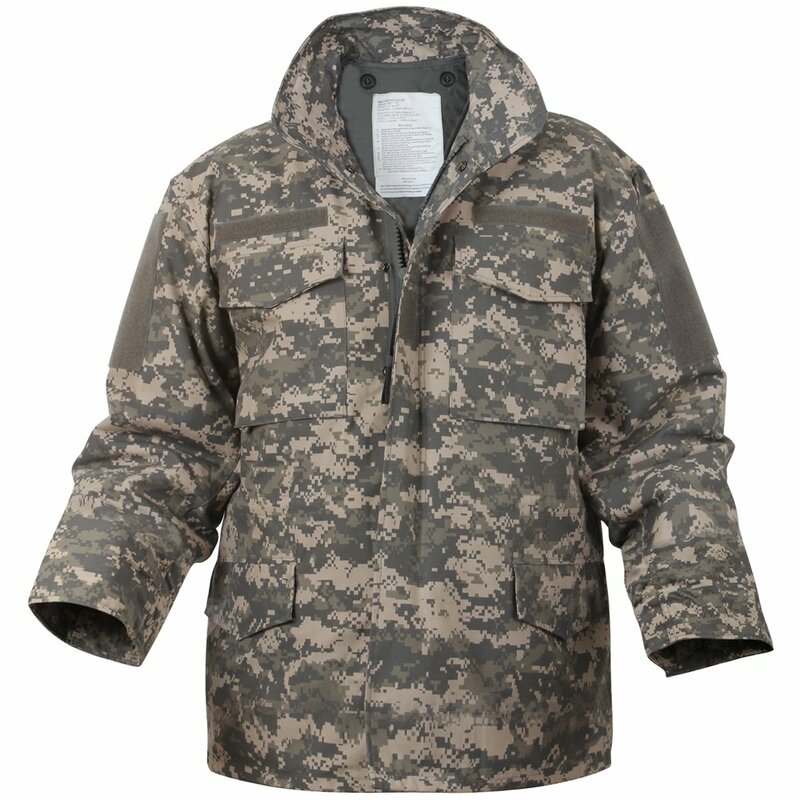 This jacket is made from polyester and cotton blend. It is made as per government specifications. This product comes with name a tape, branch tape and insignia holder. It has a hood, bottom drawstrings as well as a drawcord on the interior waist. It also has concealed hood which comes with nylon fabric zipper closure. It features large pockets near the chest and one pocket with snap closure. It has velcro neck closure and velcro wrist cuffs where your gloves can be attached.